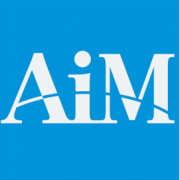 AIM Academy is one of the few organizations that offer academic tutoring to English speakers in Japan. Our dedicated and enthusiastic team continue to support and inspire returnees, children from multicultural backgrounds, and international schools. Subjects taught include language arts, math, essay writing, and overall homework help. We are seeking dedicated and empathetic teachers who CARE about the students. Tired or jaded teachers need not apply.